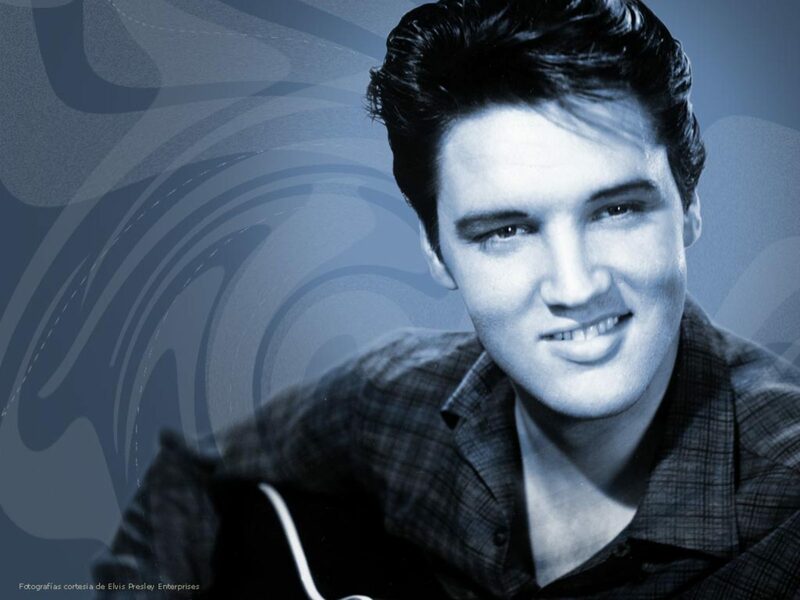 Elvis Presley would have been 80 today. I thought it would be a lot of FUN to celebrate the King’s birthday here and give Elvis a cool birthday present from one of his big fans! Damian was Kirsty Young’s Castaway on Desert Island Discs back in November: “Up until I was about the age of 18, I thought, I was Elvis, returned, and spent a lot of my time putting shaving foam, oddly, through my hair and relentlessly coiffing my quiff, and any opportunity getting into my skinny pair of black jeans and my winklepickers and my paisley shirt from Kensington market, and this is Elvis.” (You can hear the entire podcast here and Elvis bit is at 04:34). 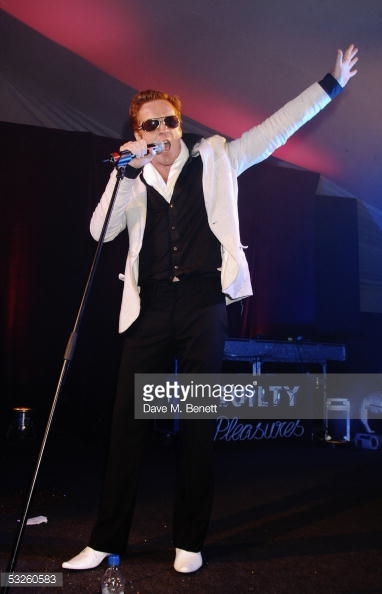 Damian first showed he has got what it takes to be the King at the Berkeley Square Ball to benefit the Prince’s Trust in 2005. And later he killed it with Elvis’ “All Shook Up” at his 2012 appearance at Jonathan Ross show! Finally, Damian became the King of Karaoke before he arrives on our screens as the King of England in Wolf Hall! 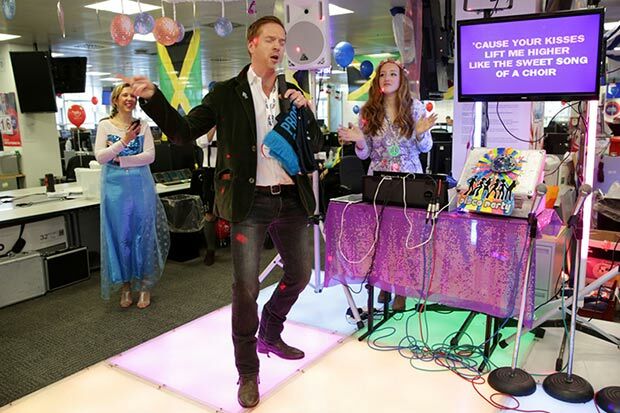 Damian did a brilliant Karaoke to Elvis’ “Burning Love” complete with FUN-tastic dance moves on ICAP Charity Day in December 2014. And I cannot think of a better birthday celebration for the King of Rock’n’Roll other than sharing that hilarious karaoke clip with you all! And, in case you want to sing along Damian, please find the lyrics below. Enjoy! Isn’t it priceless? The king of Karaoke — whatever he does he is the King of THAT! <3 I would LOVE to see him in a musical comedy! After seeing him with the big hat at Ascot Races, I am constantly thinking of Prof Higgins in My Fair Lady --- By George, we did it! 🙂 Happy New Year, Monique! Previous Previous post: On the Horizon: Damian Lewis makes Billions in New York! Next Next post: When do you feel FREE?